At the heart of Wendy Wilmot Properties are the brokers themselves. Our uncommon level of service and valuable insight are the direct results of our passions and experience as resident REALTORS® of Bald Head Island. With WWP you’re doing more than hiring a vendor; you’re building a long-term relationship with solid foundations. That’s the difference using Wendy Wilmot Properties. 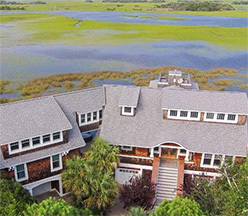 BUYING WITH WWP Finding Your Place on Bald Head Island. 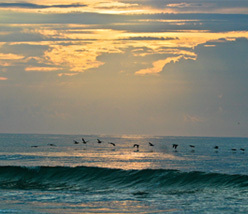 The decision to purchase property on Bald Head Island has the potential to dramatically enhance your life. Wendy Wilmot Properties offers a full scope of service and commitment, both before and after the transaction, to help you find your place on the Island. Beginning with your individual interests and goals, our skilled real estate professionals will develop a customized package of information based on your preferences in home styles, living environments, pricing and amenities. Also included will be a wealth of general information with a candid and comprehensive perspective on the Island, developed exclusively by Wendy Wilmot Properties. Let us know your interests and goals; contact a Wendy Wilmot Properties professional today to schedule your tour. Perhaps the best way to get to know the Island is to come enjoy it in person. Let Wendy Wilmot Properties be your guide to discovering Bald Head Island. Our experienced agents are Islanders who enjoy exploring BHI with new and existing clients every day. WWP can also provide you with an outstanding array of diverse vacation rental opportunities. Call one of our Island professionals to ask about a custom Real Estate Discovery Package, and begin your journey to a fulfilling Island lifestyle! If you’re in the market to buy real estate on Bald Head Island, Wendy Wilmot Properties is here to help you every step of the way. We’ve assembled some PDF’s, links and FAQ’s that cover many of the things you’ll want to know. If you have any other questions, please don’t hesitate to call or email us. How much are taxes, insurance, utilities, etc? Tax rates for Brunswick County and for the Village of Bald Head Island can be found here: www.brunswickcountync.gov Insurance costs will vary greatly according to where the property is located and in which zone it sits. Your Agent can get information from the Sellers or Sellers’ Agent as to how much has been paid for the last few years on a property. For a list of local insurance agencies, please visit our Buyer’s Resource Page. Utility costs will depend on how the property will be used and how often, if ever, the property will sit empty. Again, your Agent can get this information on a specific property for you. How old is the house, who built it, square footage, etc? Your WWP Island Professional can assist you in obtaining this information on any property on Bald Head Island. Please give us a call with a specific list of properties that interest you. We will be happy to answer any of your questions. What is rental history and what should it rent for? 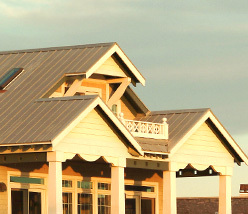 Your WWP Island Professional can assist you in obtaining this information on any rental property on Bald Head Island. Please give us a call with a specific list of properties that interest you. We will be happy to answer any of your questions. I am buying a home, why should I have it inspected? A home inspection gives the buyer confidence, can discover any substantial defects before they become a larger problem and exposes the true quality of the home. Your home inspector should be a licensed contractor and can give you a good idea of what the costs of the repairs are going to be so that you know exactly what you are getting. Simply put, a home inspection offers peace of mind so that you can enjoy your new Island purchase without worrying and gives you an education on how to better care for your home. In general, a 1031 Exchange allows for the tax-deferred exchange of any business-use or asset property for “like kind” property of equal or greater value. (The term “like kind” is very broad in definition and does not mean that the exchange must be for an identical property. This exchange may occur between land and homes or even between residential and commercial properties.) This means that your capital gains taxes are postponed if you reinvest the proceeds from the sale of one asset property into another within the guidelines regulating 1031 Exchanges. Why sell a property that has significantly appreciated and put the proceeds in the bank before buying another asset property? You would just be paying hefty sums in capital-gains taxes. What has the market been like lately? Like much of the country, Bald Head Island felt the effects of a declining market over the past few years. However, we have watched the market begin to level off and start becoming more sustainable again. Deals are being made, interest rates are still low and now is certainly the time to consider making your dream of buying that special Bald Head Island property come true! How do we get new furniture over here? Residents utilize the Bald Head Island Barge to transport larger items, approved vehicles and moving trailers. For a specific list of fees and the Barge schedule, please call 910.457.5205. If you are a member of the BHI Club, you may have access to use the BHI Club truck. Please contact the BHI Club for more information 910.457.7300. How long does it take to close on a house here? Closings on Bald Head Island are typically no different than on the mainland. Buyers will still need to secure their loan if obtaining financing and have inspections and appraisals done during the Due Diligence period. If you are purchasing a short sale or foreclosure property, the time frame can take a bit longer as there are additional bank processes required.